Cristina obtained her BSc at York University in Specialized Honours Biochemistry. For her undergraduate research project, she worked in the Audette Laboratory on the crystallization of the TrbB protein involved in F-plasmid conjugation. She then went on to complete an NSERC USRA in the Wilson group which involved studying the oligomerization pathway of the K122-4 pilin from P. aeruginosa using ESI-IMS. This sparked her interest in mass spectrometry, and went on to complete her MSc in the Audette/Wilson lab – where she continued to study protein-protein interactions of the K122-4 pilin and between transfer proteins involved in bacterial conjugation using TRESI-HDX. Outside of the lab Cristina enjoys shopping, writing, and travelling. John grew up in King City and Aurora. He completed his BASc in Mechanical Engineering at the University of Toronto and joined the Canadian Navy as a Combat Systems Engineering Officer. The Navy added two years of Electrical Engineering training at Dalhousie (TUNS) and Fleet School, Halifax and experience in advanced developmental research of the CANTASS towed array sonar. After achieving CSE department head qualification at sea, John became an instructor for sonar and digital signal processing at Fleet School. He completed his MBA in Finance at Saint Mary's University and joined the Greater Toronto Airports Authority as Manager, Financial Planning where he was part of a team that borrowed the first $1 Billion for the redevelopment of Pearson Airport. He has also worked as a project manager for the installation of Ontario Power Generation's revenue metering wide area network and a project manager for the development of the AB/SCIEX QSTAR mass spectrometer. In 2005, John became a PhD student in Professor K.W.Michael Siu's research group, where he integrated a DMA ion mobility interface with a QTOF mass spectrometer and developed a display interface for the analysis of Ion Mobility Mass Spectrometry data. 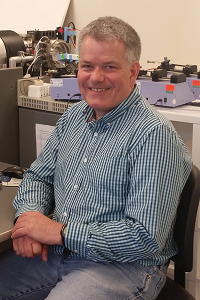 John has been providing mass spec technical support to the Wilson Lab since 2013. Shaolong was born in China, however grew up in the United Arab Emirates for most of his childhood. He received his BSc here at York in Specialized Honours Biochemistry and is currently working towards his PhD in Derek's lab. His project mainly centres around the study of intrinsically disordered proteins involved in human diseases such as Alzheimer's disease and cancer. 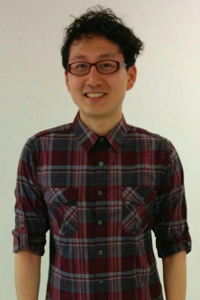 Outside of research, he enjoy activities such as tennis, table tennis, badminton and swimming. Bin’s background is in the Pharmaceutical Sciences. His BSc was in Pharmaceutical Chemistry where his focus was on the study of natural compounds isolated from traditional herb medicine. For his PhD, Bin used capillary electrophoresis and microfluidic chips coupled with laser-induced fluorescence to study drug uptake and metabolism in single cancer cells. During his Post-doc at the University of Alberta, he developed molecular diagnostic methods for biomarkers by DNA and aptamers. Currently, he is applying HDX-MS for the epitope mapping of biopharmaceutical drugs, and screening drug candidates for Alzheimer’s disease. In his spare time, Bin loves hiking, boating, photography and playing badminton. 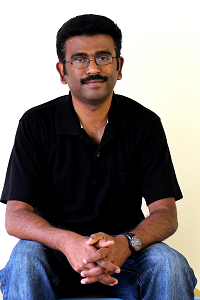 Moorthy received his Bachelors in Pharmacy and Masters in Biotechnology from his home country, India. He obtained his PhD from the National University of Singapore in 2011. His research interests during graduate studies were to unravel the mechanisms of complex molecular interactions in cyclic AMP signaling pathway using HDX-MS. During his post-doc at Purdue University, Moorthy worked on various industrial collaborative projects to develop HDX-MS method for characterizing protein drugs during different stages of product development. He used solid-state HDX-MS to probe protein-excipient interactions and predict stability of lyophilized formulation during long-term storage. Moorthy joined the Wilson Lab in early 2017 and is focusing on Amyloid-beta (Aß) fibrillation. He uses TRESI-HDX to map small molecule fibrillation inhibitors binding to Aß. Besides research, Moorthy has gained interest in bird watching and photography on his free time. Banafsheh earned both her B.Sc. (in Pure Chemistry) and MSc (in Physical Chemistry) in her hometown, Tehran. In her master’s degree, she learned about the power of “biocomputational chemistry”. She used GROMACS, a Molecular Dynamics simulation software, to study the structural changes in a damaged DNA. Later, she joined Dr. Arvi Rauk's group, at University of Calgary, where she received her PhD in 2018. She used Molecular docking and Molecular Dynamics simulation to study amyloid-beta (Aß) aggregation and also interaction of Aß peptide with a series of designed anti-Aß aggregation peptidomimetics. 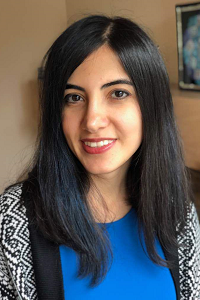 Currently, Banafsheh joined Wilson’s lab, where she studies the interaction of small molecules with disordered proteins and antibodies. Although, barely something makes her more content than doing research, she loves to travel, and she enjoys volunteering for UNICEF. 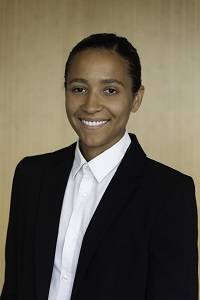 After high school, Kerene migrated from Jamaica to Ottawa where she attended Carleton University and obtained her BSc degree in Biochemistry and Biotechnology. While at Carleton she did her 4th year honours thesis in Dr. Jeff Smith’s lab. Her research focused on Lipidomic analysis of hibernation in Thirteen-Lined ground squirrels through the use of Liquid Chromatography Mass Spectrometry. This sparked an interest in mass spectrometry research and she then joined Dr. Derek Wilson’s group in 2014 as an MS-ESE CREATE student. Her current research involves structural analysis of RNA chaperones such as the human La protein in complex with different RNA ligands. 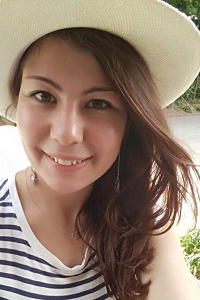 In her free time Kerene enjoys shopping, baking, travelling and outdoor summer activities. Ruth Knox is a 4th year PhD Candidate in the Wilson lab, specializing in using time-resolved HDX on catalytic systems. Her first (and upcoming second) publications with Dr. Wilson describe her work on TEM-1 beta-lactamase with a variety of drug substrates to influence future drug development. 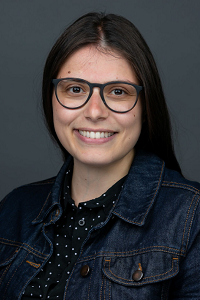 As part of the NSERC/CREATE grant Ruth received during her PhD, she was granted a technologist position at Sanofi Pasteur, working in the analytical research and development division on vaccine candidates. 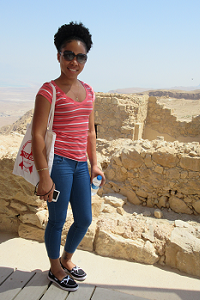 Her current project is focused on mapping the local dynamics of hydrogen tunneling in Yeast Alcohol Dehydrogenase (YADH) using HDX-MS. Outside of the lab, Ruth enjoys travelling, cooking, and all types of sports. 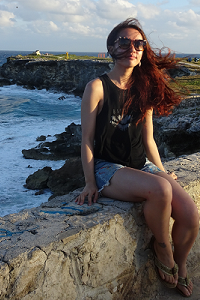 Irina is an international student who moved to Canada to complete her BSc in Specialized Honours Biochemistry at YorkU. For her undergraduate research project, she worked in the Audette Laboratory on the expression and purification of Coxiella Burnetii’s cbu0412 protein involved in the formation of a Type IV Pilin. Recently, Irina has started her MSc in Derek Wilson's lab. Her current research relates to the conformational analysis of alpha-synuclein, a presynaptic neuronal protein linked to Parkinson disease, specifically to it's interactions with membranes. Outside of research, she enjoys swimming, muay thai, and snowboarding. Lisa obtained her BSc in Biotechnology at York University in 2017. She was a member of the Faculty of Science's pilot co-op program and secured a 1-year placement in Biopharma supporting Analytical R&D of new vaccine candidates. It was during this co-op term she received her first exposure to protein mass spectrometry and learned about HDX-MS techniques used in the Wilson lab through a MITACS Post-Doctoral Fellow working in the same department. Lisa joined the Wilson lab as a volunteer research practicum student in 2015. 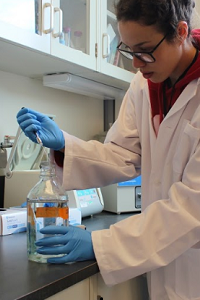 She subsequently completed an Honours Thesis project using a phospholipid-based model membrane system and TRESI-HDX to study the Cytochrome c-membrane interaction. 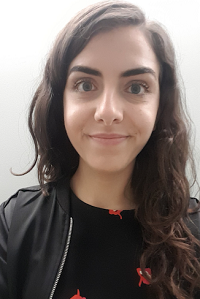 As a MSc student, Lisa is continuing her work with HDX-MS/model membrane systems and is looking forward to gaining additional industry-based experience in proteomics. Lucienne completed her HBSc at University of Toronto in Molecular Biology and Biotechnology. 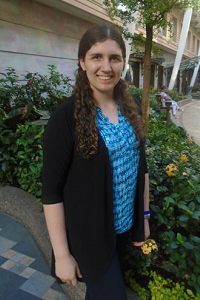 During her undergrad she did a one year internship at Biopharma which lead to an interest in research. She completed her undergraduate thesis in Dr. Mauricio Terebiznik’s lab characterizing the behaviour of Salmonella’s type 3 secretion system needle protein in varying pH conditions. 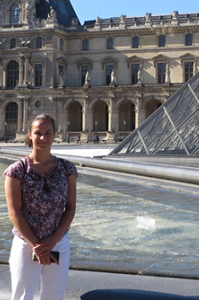 Having liked chemistry in undergrad and wanting to learn more about mass spectrometry, Lucienne decided to join Dr. Derek Wilson’s group as a masters student. Her current project focuses on determining protein stability using DMS-HDX. On her free time Lucienne enjoys playing sports such as tennis, volleyball, and exploring new and interesting activities such as her new found love for rock climbing. Xiaojing obtained her BSc in Specialized Honours Biochemistry at York University. For her undergraduate thesis in Wilson Lab, she worked on a collaborative project with Gary Sweeney in biology department, YorkU. This project focuses on studying protein and small molecule interaction (ie. siderocalin and siderophore). It is this project introduced her the power of mass spectrometry. Currently, she is working in Wilson Lab as a master student. Other than being a scientist, she is also a scuba diver. Alex finished his B.Sc. in Biochemistry at the University of Ottawa with an interest in molecular biology. He went on to work at the Ontario Ministry of the Environment in the water quality monitoring labs and took an interest in Mass Spectrometry through Chlorophyll A/B analysis. Alex combined his love for molecular biology with his experience in analytical techniques and started his M.Sc. at the Wilson Lab. His current work involves pre-clinical analysis of inhibitors for STAT3 and STAT5 activation pathways for possible cancer treatments. 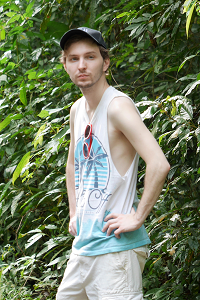 Outside of the lab, Alex enjoys travelling, snowboarding, and spending time with his cats. Alessia is currently in her fifth and final year as an honours chemistry student at York University. She will be a part of The Derek Wilson Lab Group for the entirety of the 2018 – 2019 school year as she undertakes an undergraduate research project. Her project will focus on the conformational dynamics of the α-synuclein protein in the presence of phospholipid nanodiscs. Alessia’s past lab experiences include the use of liquid chromatography to analyze compositions of brown carbon in forest fire residues. 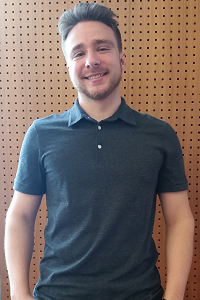 Jordan completed the Advanced Biotechnology Technologist diploma program from Seneca College prior to joining The Derek Wilson Lab Group. 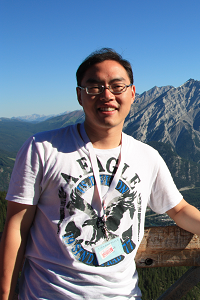 He is currently completing his undergraduate degree in Biophysics at here at York. Jordan’s past work with the lab includes investigating 3D printing of current and alternative microfluidic mixer designs for use online with TRESI-HDX. Currently Jordan is working to design an electrolytic cell for disulfide bond reduction. In his spare time Jordan enjoys golfing, tennis, and snowboarding. Esther is currently pursuing a BSc in Specialized Honors Biochemistry. As a 2018 DURA recipient, she studied Glutathione-S-Transferase dynamics in Derek Wilson's Lab using TRESI-HDX mass spectrometry. She is excited to continue to explore this topic as she completes her undergraduate research project. Outside of school, she enjoys running, over-sized sweaters, and trying foods from around the world.